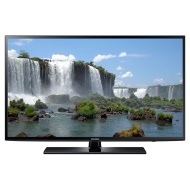 alaTest has collected and analyzed 775 reviews of Samsung UN60J6200 Series. The average rating for this product is 4.5/5, compared to an average rating of 4.3/5 for other products in the same category for all reviews. We analyzed user and expert ratings, product age and more factors. Compared to other products in the same category the Samsung UN60J6200 Series is awarded an overall alaScore™ of 89/100 = Very good quality. alaTest has collected and analyzed 133 user reviews of Samsung UN60J6200 Series from Amazon.com. The average user rating for this product is 4.3/5, compared to an average user rating of 4.1/5 for other products in the same category on Amazon.com. Great tv. I have 2 of these now. Good quality and good features such as buoy in wifi. Can't go wrong with it. I haven't really done anything but watch FIOS TV with it but it has a great picture and decent sound. I'm very happy with it. TV broke after 1 week. Picture suddenly stopped working properly. Awful TV, expected a lot more from Samsung. Definitely switching back to Sony now. Died 2 days into bringing it home. Great Picture, Easy to set up. Very happy with this TV, lots of extras and the price was great. Watching sports is great. Picture size amazing and sound . Perfect picture, perfect sound, and overall perfect television! Love how the tv looks like they are filming right in the living.